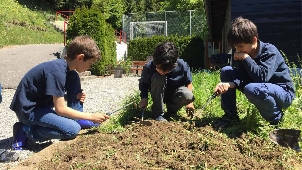 Founded in 1966 by Mathilde and Jean Wegmüller, Ecole Chantemerle is a private boarding school for boys and girls ages 6 to 18. Over the years, Chantemerle has acquired an international reputation for the high quality of its teaching and its personalized family atmosphere. 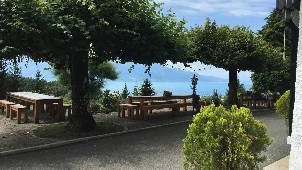 The chalet-like campus of the Chantemerle School is beautifully located near Lake Geneva and the Swiss Alps, on an amazing piece of land with a private forest and a river. 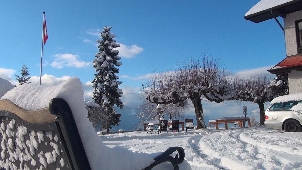 The towns of Montreux and Lausanne are a 15-minute drive away, and the Swiss alps are all around. 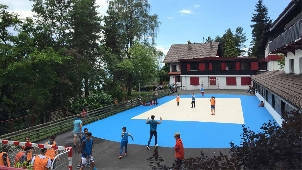 With a population of 60+ international and Swiss students, Chantemerle is often described as a “small big school”. The small class sizes and the school’s relatively small size overall, mean every pupil receives personalized attention in a warm and family atmosphere. Every student is allocated a tutor responsible for monitoring academic progress and for addressing any concerns that may occur. This system enhances the naturally positive relationships that exist between staff and students in the school. 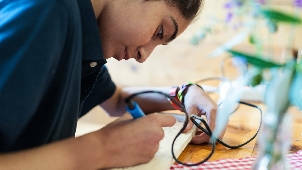 Timetables remain carefully balanced to provide a varied program, alternating class hours and supervised studies, with a varied sports programme, nature walks, music, art & crafts, reading time, and more. 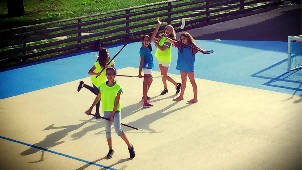 In today’s fast paced world, Chantemerle offers a peaceful and well-balanced learning environment. The students will be taught to be attentive to nature and its wonders, and will be encouraged to actively protect the environment. The staff at the school is very engaged for a reasonable use of personal electronic devices as well as for healthy living and eating. 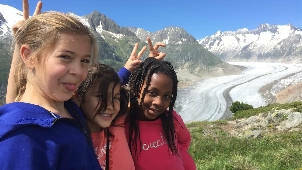 The Chantemerle welcomes boarding and day school students with a wide range of backgrounds and culture creating an interesting and diverse community. 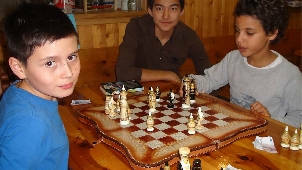 The intelligent and rigorous application of simple community rules contributes to the smooth running of the school. 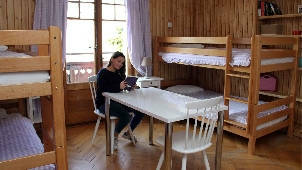 Boarding students are housed in pleasant 2 to 4-bedded rooms according to their age, gender and preferences. A school nurse is permanently present at the school and follows the children in relation to their health. At Chantemerle, there is an emphasis on building strong academic foundations and “learning how to learn” more efficiently and in autonomy. One feature of the school timetable is that there are 3 x 50 minutes reserved each week for supervised independent study. Together with homework, these periods help encourage pupils to develop their motivation and capacity for autonomy. 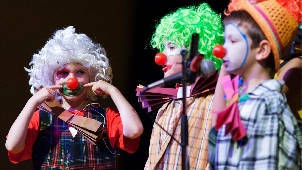 Chantemerle follows the French National Education guidelines. Advanced Programs in Mathematics, French, English and German are also proposed to meet the Swiss Maturity program requirements. Students ages 15+ willing to continue their studies in Switzerland prepare for the International Baccalaureate (I.B) or the Swiss Maturity diploma (residency program). 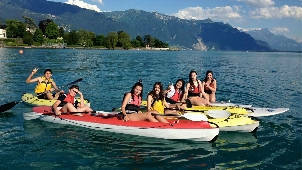 At Chantemerle, there is a strong belief that personal growth and wellbeing are just as important as academic success. 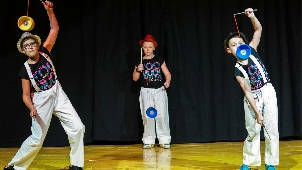 Every day has its after class activity program in place that is coordinated by professional teachers and educators. 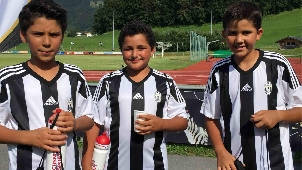 Group sports (soccer, basketball, volleyball or rugby), martial arts, target sports (air shooting, archery), Fitness and running, swimming, tennis (private lessons possible), ski (private lessons possible). A rich program of cultural visits excursions is planned throughout the year, on Wednesdays and during weekends as well as during the October and February school breaks. 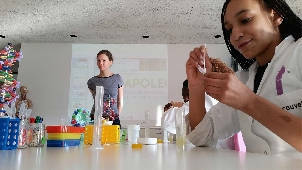 Cultural and artistic workshops are offered in the form of group lessons or individual sessions: Painting, creative design, arts & crafts, nature discovery, cooking and chocolate, photography and multimedia. You can find more information about Summer Camp here. A positive and personalized approach to education is at the core of Chantemerle’s philosophy. The aim is to educate and nurture every child, ensuring they acquire the knowledge, life skills and attitudes to fulfill their academic and personal potential and be successful in the future. promoting healthy living and appreciation of nature.